The Sweetest Event in Bedford! When we think February, we think Valentine’s Day. 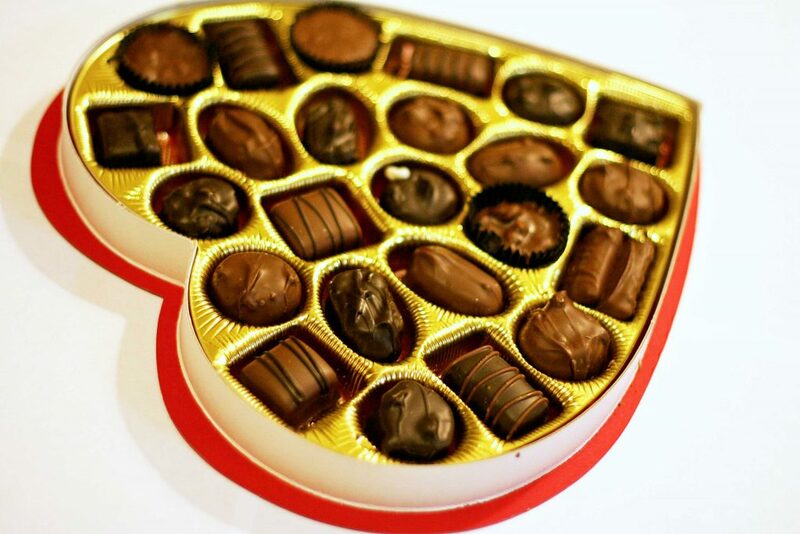 And when we think Valentine’s Day, we think chocolate. This year, Bedford is thinking chocolate – a whole downtown of chocolate! On Saturday February 16, join us for the first annual Bedford Downtown Chocolate Walk! We will start at Sirna’s Café with chocolate drinks then map in hand, make our way through Historic Bedford Downtown to visit local business “sweet spots” and collect our candy rewards. Join the Bedford Downtown community for this sweet event! The walk will take you through Bedford’s Downtown where you can shop at our stores and collect a sweet treat. Themed raffle baskets will be on display at Sirna’s Cafe with tickets available on site! Check in begins at 2:30PM at Sirna’s Cafe located at 795 Broadway Ave.
Sweet Stops will also have signs in their windows too! Our candy crowd will reconvene at Sirna’s where those who completed the choco-challenge will be able to enter their raffle tickets for gift baskets and a drawing. Only 150 tickets will be available for this event so make sure to secure your spot for an afternoon of sweet February goodness! *This is an all weather event and tickets are non-refundable due to inclement weather. Wait! Before you go… Sign up now to get updates about all the fun things we are doing in Bedford Downtown.